To Switch from Current Site to any other Site that you want to work on again. All you need to do is hover on Switch Site on Navigation Bar. You will find the list of all the Sites that you have added. 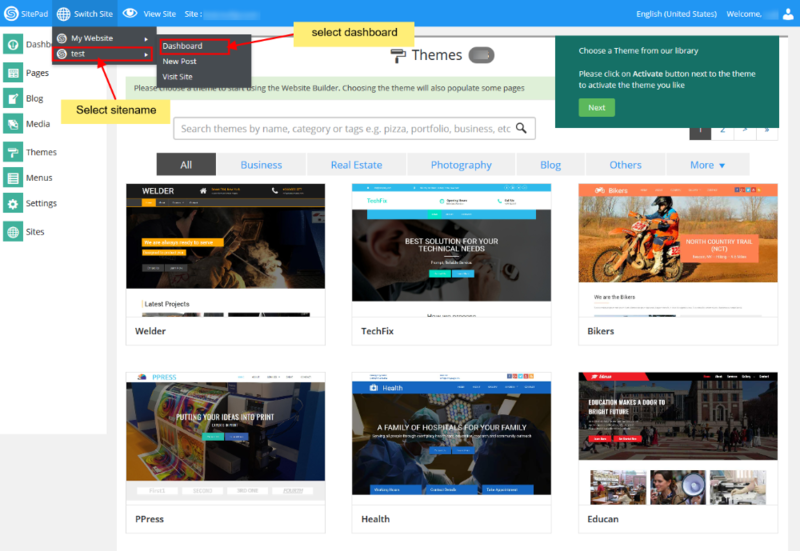 Now Click on the Site you wanted to work again and then click on Dashboard like shown in the image below. Also remember the Site that was created by SiteBuilder when you logged in first time will always be on top of the Switch Site.